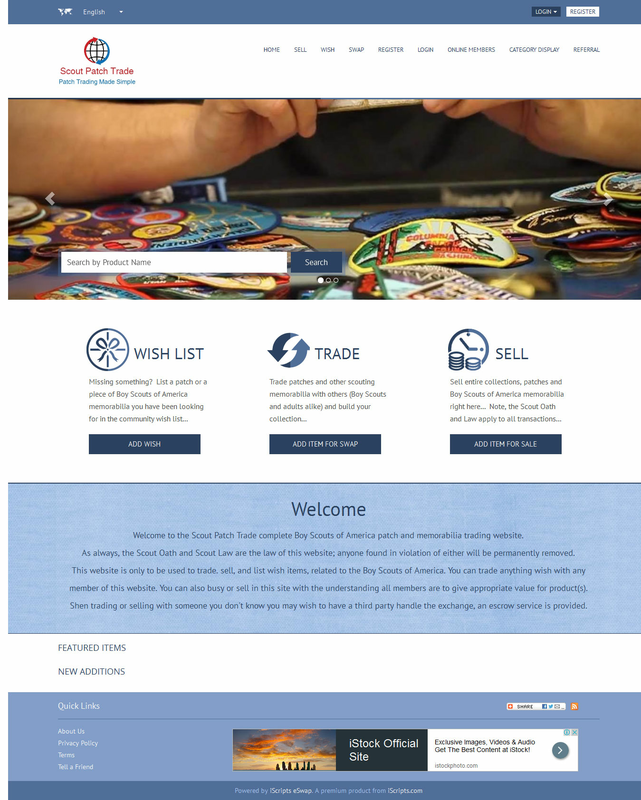 This bartering system allows you to create your own swap meet website where users can easily buy, sell and swap items. The software contains all features and functionality necessary for you to launch a professional barter exchange network website similar to Swap.com or U-Exchange.com. Allow users to complete transactions on your site using virtual currency along with the online swapping functionality. Use the virtual currency system so that users can still complete transactions without using official currency, but still have additional control over perceived value, along with increased flexibility. This works well when a number of users are not big enough to support direct barters. Here users earn credits by swapping or buying them from administrators. Direct swapping capability allows users to swap and trade with each other. In order to sustain your site using this model, you will need a large community of users. This model enables all users to trade other users with relatively same value. There is an optional escrow method for website owners to gain additional revenue while delivering peace of mind for users. Increase flexibility for your users by allowing them to sell or barter items within your online community. Allow users to acquire items however they wish. In this model, site members will have the ability to sell and purchase items using online payment gateways, as well as trade and bartering capabilities. iScripts eSwap is a powerful multilingual barter exchange network script equipped with many built-in and comprehensive features. Visitors to your site have the ability to list items for swap or sale in exchange for another item, currency or points. 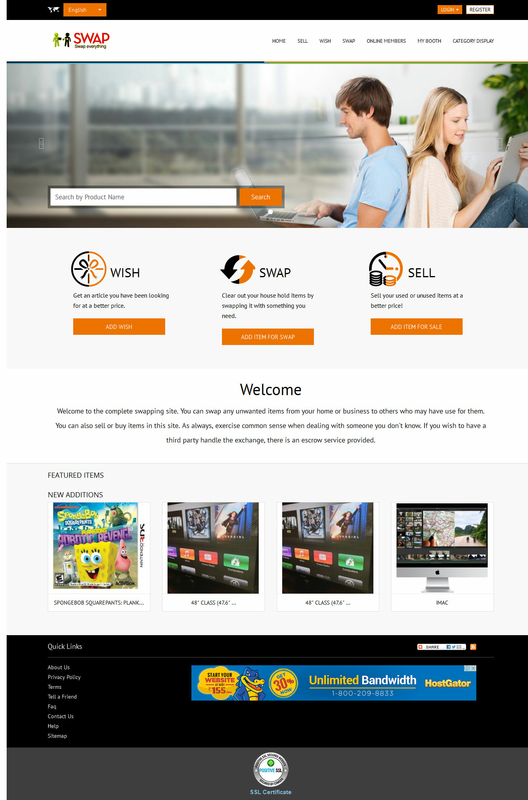 If users come to the site and do not immediately find what they need, they can create a wish list so that fellow users may fulfill the request. This barter software supports the most common shipping and payment gateways as well as offline payment methods. As the site administrator, you can define your own combination of user listing fees, featured item fees, transaction completion fees, monthly subscriptions and/or utilize an optional escrow service. An optional points system is included. This way, users can exchange points rather than cash or by swapping items. You can also opt to make your site a free service. Construct your own virtual swap meet site within a short amount of time using the software's professional yet user friendly interface and processes. Create the custom site you want while defining the site specifics you need in order to generate revenue. iScripts eSwap also supports multiple languages such as French, Spanish and German. After your one-time purchase, the swap software can be installed on your server. From this point, you have complete control over your swap site as the administrator. This is an open source PHP barter script without code encryption which means you may customize the site at any time in order to fit your specific site needs. iScripts eSwap can be used to create a direct swapping or bartering website, barter exchange network, or a combination of models. Users and the site administrator will have separate logins. Within the Admin Panel, the site owner can define, modify and control all site operation while users can control their own listings, payments and site activity. Starting your swapping site with iScripts eSwap requires just a few simple steps. Your first step after completing setup will be to ensure your site has a sufficient amount of items listed that will attract buyers. After iScripts eSwap is installed on your server, will brand your site by adding your own logo, site content, offers and company information. Choose whether or not your users will swap directly, use payment gateways, or take advantage of the virtual currency and points system. These models are explained above. If you find that you would like to expand or modify your website, you may have your own PHP programmer edit the script, or request an affordable quote from the team at iScripts. 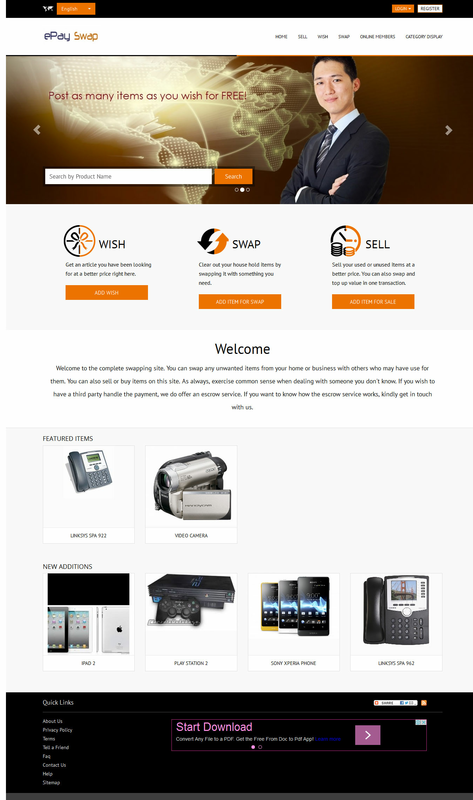 iScripts eSwap gives you many advantages and features which will enable you to run your own profitable bartering network or swapping website. Reduce the amount of time and cost required to set up and operate your own professional and flexible swapping site or bartering network. Use the multilingual capabilities to support a variety of users from all other the world. Offer a variety of payment modes and options to give your users the most flexibility while increasing the amount of users capable of becoming customers and community members. If you have an existing business, you can encourage customer satisfaction by offering users a platform to connect with other community members and save money at the same time. This will improve your existing business or community while also increasing visibility. Generate revenue by charging users a registration fee, listing fee, or for making a sale or swap through your swapping platform. Provide eBay-style feedback to increase credibility and quality assurance. Use the powerful admin panel to manage all site operations, enable/disable site features, control user accounts, complete or view online payments and more. Utilize the built-in escrow method to increase revenue potential. Integrated virtual currency allows administrator to significantly increase liquidity and revenue. 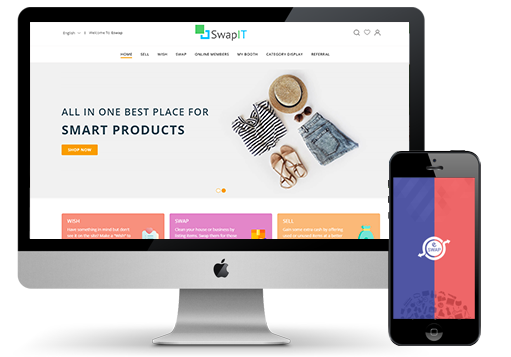 Customize and operate your swapping website by utilizing the program's various payment gateways, modes and options. Use the powerful, swapping software that allows direct swapping capability to users and trade with each other.APP provides flexibility to users by allowing them to sell or barter items within your online community. Allow users to acquire items however they wish using online payment gateways.